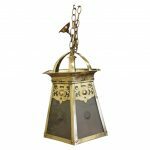 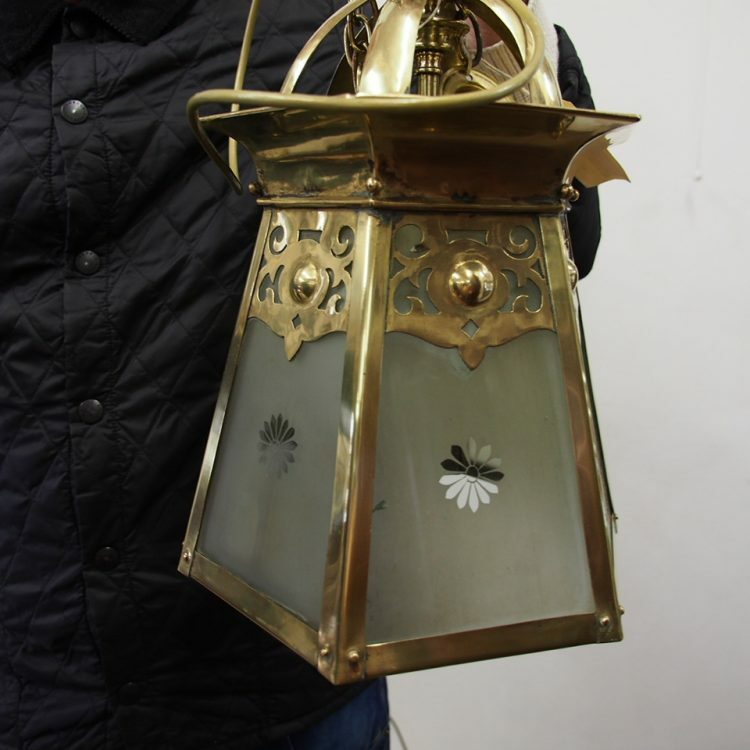 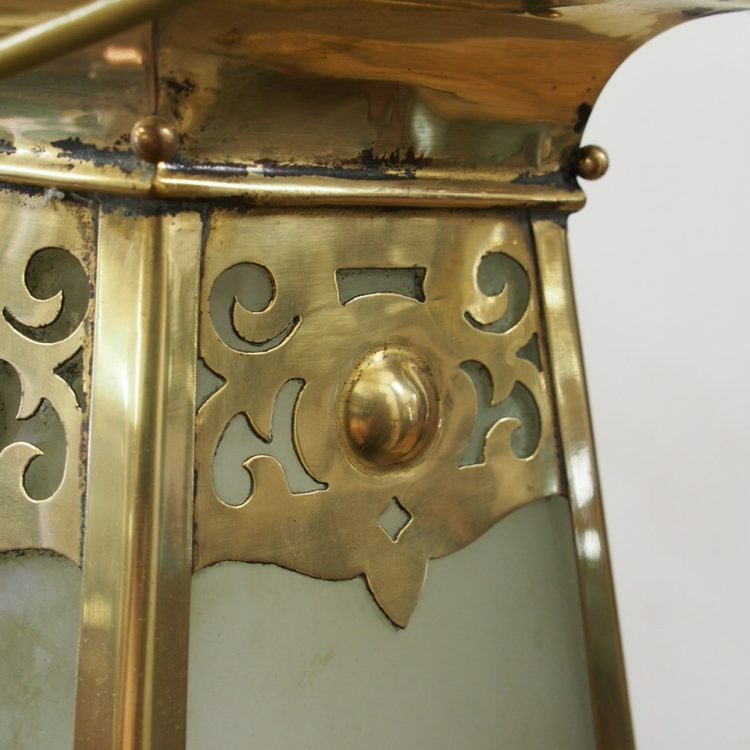 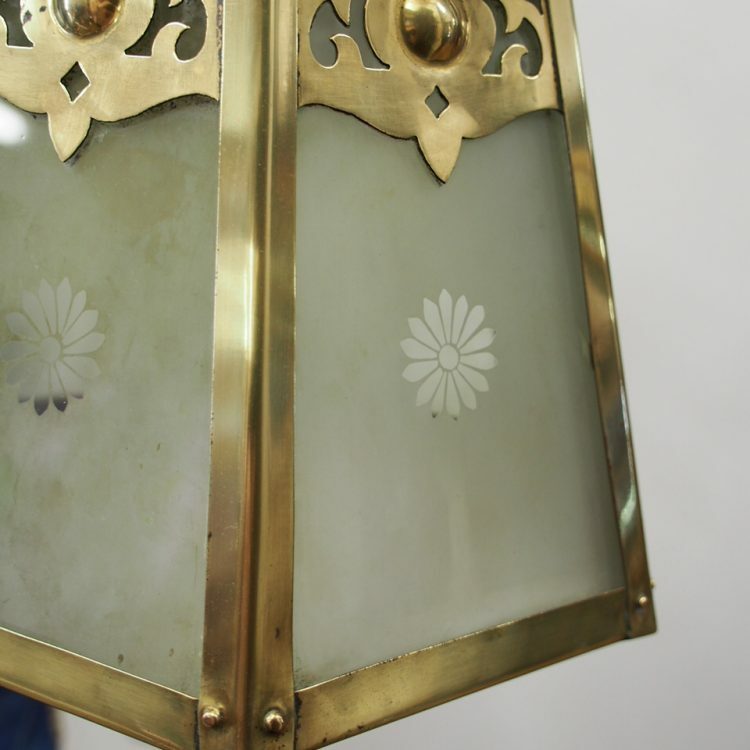 Circa 1900, Art Nouveau brass and frosted glass hall lantern. 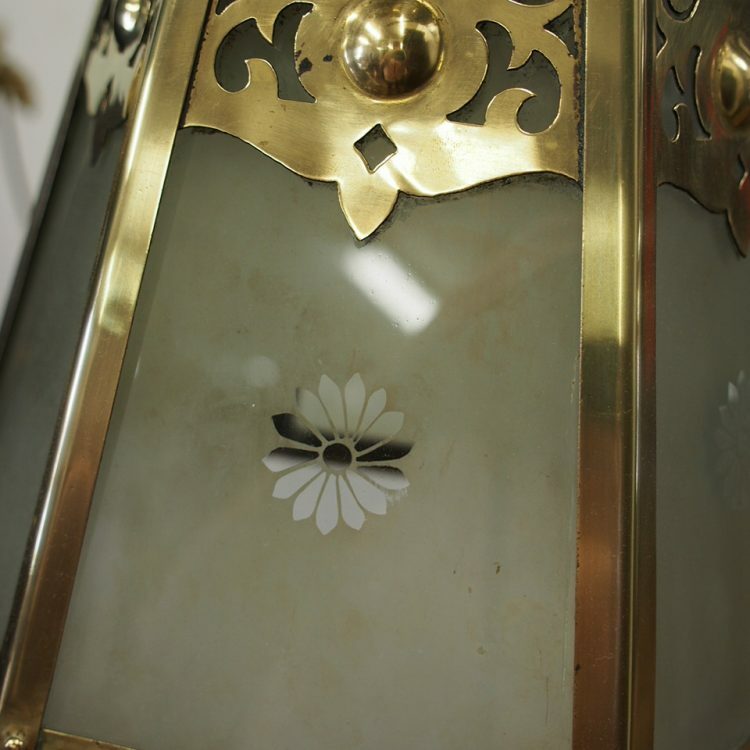 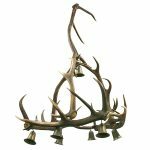 With 6 downward facing brass stamps, hexagonal shaped body which tapers down and open fretwork to the top. All uprights and base held in place by small brass rivets, and with a chain and small ceiling rose.